Our single base pruner is provided with one pruning drum to the right. The machine is mounted in the lifting device at the right side of the high clearance tractor. A base pruner is meant to remove the lowest 12 – 18 cm of branches of Christmas trees. This causes more light and air underneath the trees, so needles are not getting brown. Another advantage is that the branches are not bothering during the harvesting process. 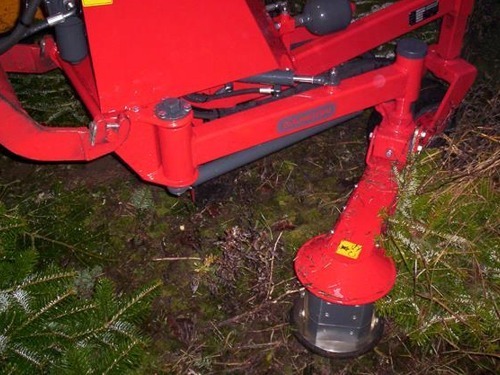 Basically the pruning drum has a heigth of 150 mm, optionally drums of 120 and 180 mm are available. Additionaly a double base-pruner / an extra drum is available to the single one. This extra drum works to the left, this means two half rows are processed at once (instead of one half row with the single one). The double base pruner can be provided with the same drums as the single one. Basically a 150 mm drum is provided. Optionally are 120 and 180 mm drums available. Another option is hydraulic width adjustment. 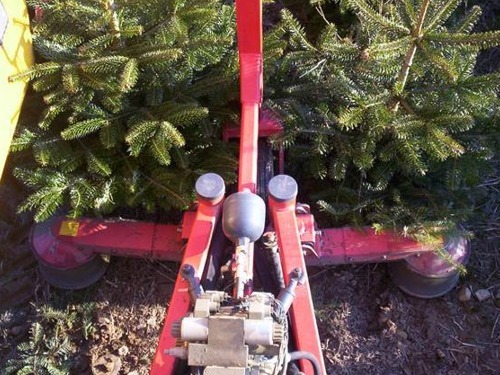 Our base pruner can easily be switched to a (Christmas) tree harvester. The harvester is provided with a 500 mm sawing blade. 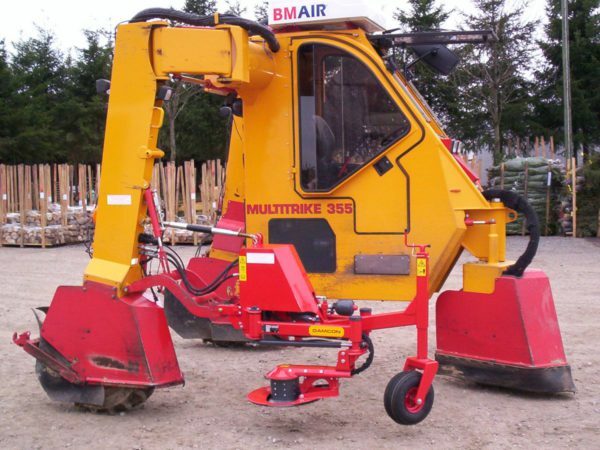 Even if your base pruner is a double one the tree harvester is available as a single one only.